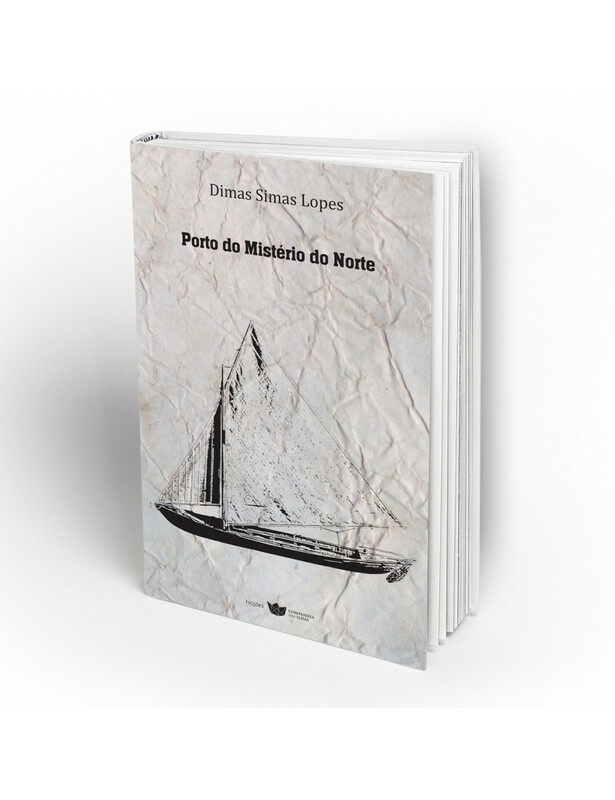 Home > BOOKS>"Porto do mistério do norte"
About the Author: Biscoitos, Terceira Island, Azores (1946). Degree in Medicine from the University of Coimbra and cardiology specialty, trained in the Hospitals of Coimbra; Hospital of Santa Cruz, Carnaxide; Hospital La Paz, Madrid and Angra do Heroísmo Hospital, as Head of Service. He attended the studio of the painter Enrique Valero in Angra do Heroismo and Madrid. In 1992, he held his first exhibition of paintings at the invitation of the Gallery of the Regional Direction for Culture (Angra do Heroísmo). As of this date, by invitation or by selection in competitions, Dimas Simas Lopes has made several dozen solo and group exhibitions in galleries and other public spaces in the Azores, Porto, Coimbra, Lisbon, Italy, Brazil, United States. In Agora Gallery, Soho, New York, he has worked as a resident artist during the year 1996. Since 1998 has been working in metal sculptures, designing models, as public art proposals. He painted the series A Cor da Palavra, O Outro Lado da Terra, O Ouro e os Mitos, Sinais da Matéria, and others, being represented in the island of Terceira, Azores, with the mural in the Church of St. Peter and the "Impérios" of the Holy Spirit in Biscoitos, the Chapel of the Hospital of Angra do Heroísmo, and paintings in collections of Portugal, France, Spain, Italy and the United States. He received the medal of Cultural Value of the Municipality of Praia da Vitória, as well as other. Member of the board of the Azorean Institute of Culture (1995-2007), Member of the Portuguese Society of Cardiology, the Portuguese Society of Writers and Artists Physicians, the National Society of Fine Arts. Founded in 2004 the Carmina Contemporary Art Gallery, in Terceira Island.